Cloud Service in Motor Vehicles and Cloud Connected Vehicle are way of solutions which are mostly came from Ford, Volvo and Erricson, Mercedes-Benz and others. Previous year, we wrote that Dailmler and Audi moved their infrastructure to Private Cloud. Ford, Daimler, Audi are brands which literally plays with the latest movement. Otherwise they would have not sustained decades after decades. We will discuss the latest moves towards Cloud Service in Motor Vehicles and Cloud Connected Vehicle and obviously the theoretical aspects. When the news that Volvo is entering the world of cars connected to the network – one of the many areas that make each day more populated the internet of things and has now reached an agreement with Ericsson to develop the systems connected to cloud machines of the Swedish producer; arrived it starred the Media. There should not be so much astonishment. Apple Inc. has made 41.733 billion USD net profit, Google made 9.737 billion USD net profit, Microsoft has a net profit of 16.97 billion USD. This car brands not only has the equivalent or more profit but the net asset is higher. They are well known to adapt any new technology very fast. You can think about LED lights. They are well known to test any new technology by using their service first. The two Swedish companies, which are already collaborating on a research project for the efficient charging of electric vehicles, revealed the agreement recently. It seems that Cloud Connected Vehicle platform will be the basis of communication inside the machine, the app and infotainment services, the telecommunications company will also work for Volvo as a provider of system integration and managed services over the next seven years. Volvo will be the first customer to Ericsson to make use of the Cloud Connected Vehicle Platform Cloud. Among the first services to be available will be Spotify, internet radio and other companies will be involved. Today a modern car which we use has so much to do with computing, it is not abnormal to integrate the Cloud Service in Motor Vehicles. There are videos on YouTube from Ford, Merc. The basic thing as we always say is to provide more easy solution. When iCloud has been integrated in to MacBack Pro, we do not get that much astonished, but when we hear about a car and cloud we get confused. Probably this is we are not Henry Ford. 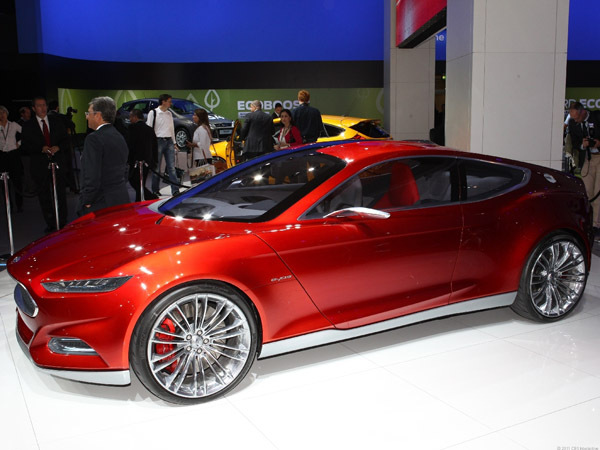 Ford Evos Concept showcased the company’s future design and a consumer-focused technology experience – a smart car, can recognize different drivers,load their preferences, can run the macro like your MacBook Pro or iPhone. This Article Has Been Shared 4985 Times! Google F1, The Fault-Tolerant Distributed RDBMS is targated to be replacement for MySQL. This claimed to be perform better like serving Ads from crap servers. What is PaaS or Platform as a Service has been explained through this video guide in simple English to make it easier to any level of reader. Cloud Computing in Home Care Scenarios is based on real-world scenarios to analyze the opportunities and risks, as well as the practicality of such systems. Use of Cloud Computing in Small Business is important from the aspect of economy – in contrast to large firms, small firms often have little financial reserve. New Relic can be installed on Heroku Cloud in easier way just from the web UI front end without any need of using Command Line Interface. Here is how. Cite this article as: Abhishek Ghosh, "Cloud Service in Motor Vehicles and Cloud Connected Vehicle," in The Customize Windows, December 18, 2012, April 21, 2019, https://thecustomizewindows.com/2012/12/cloud-service-in-motor-vehicles-and-cloud-connected-vehicle/.